It's not only the running of the animal enclosures that can have an environmental impact. With the number of visitors that ZSL London Zoo and ZSL Whipsnade Zoo get every year, we want to make sure that the catering and retail opportunities at our Zoos are as responsible as possible. 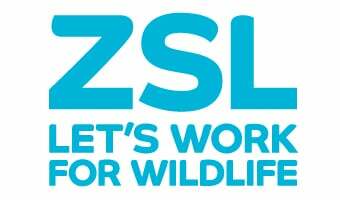 What we offer to our visitors at the Zoos needs to support ZSL's core conservation message. We select our stock for the gift shops very carefully, and source sustainable food locally for our on-site cafes. Some we even grow ourselves! In the Retail Department, every effort is made to find products that are sustainably and responsibly produced. ZSL London and Whipsnade Zoos have become the first in the UK to remove all single-use plastic water bottles from its shelves, as part of the #OneLess campaign to protect the world’s oceans from the devastating impacts of plastic pollution. We have our own small garden at the Wild Bite cafe at ZSL Whipsnade Zoo growing herbs, garlic, radishes, pumpkins and other food to use within the café kitchen. We use local suppliers where we can. At Whipsnade, all our meat is supplied through a local butcher who sources our fresh meat we use from within a 45 mile radius of the zoo. A local farm supplies our milk, fruit and vegetables. We reduce the amount of deliveries we have coming onto site where we can, but still ensuring we are giving a fresh produce to our customers. ZSL is committed to sourcing fish from sustainable stocks throughout the Society and particular for use in the catering and animal departments. ZSL Whipsnade Zoo only use Marine Stewardship Council (MSC) certified fish produce within the catering operation. Ampersand, who provide catering for venues such as ZSL London Zoo, carry MSC certification. We are working towards ensuring that only sustainable palm oil is used in all products we purchase including food products, animal feedstuff and cleaning products. We support sustainable palm oil, timber, pulp and paper through our Sustainability Policy Transparency Toolkit (SPOTT), our projects in Indonesia and Cameroon, and as members of the Roundtable on Sustainable Palm Oil (RSPO) and the Forest Stewardship Council (FSC UK). ZSL is working hard to improve the way we manage our Zoo sites to reduce negative environmental impacts and enhance ecological and social benefits.